Here's a type of puzzle that I like, which we don't see much in logic games: sequential movement. Making its way to SmartGames by the hand of Raf Peeters, Jump'IN is a cute game of sequential movement that is quite deceiving in its difficulty. Be prepared to be challenged in a way that not many logic games can do. Presented in a small package, perfectly portable, Jump'IN features only eight pieces, three of them stationary and five movable. The pieces are quite small, so it's not recommended for children under the age of seven. 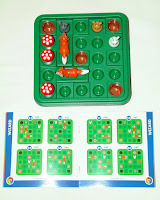 The game board features a 5x5 grid and comes with a booklet with 60 challenges, divided in five increasing difficulties. There's much here for anyone, expert or not. 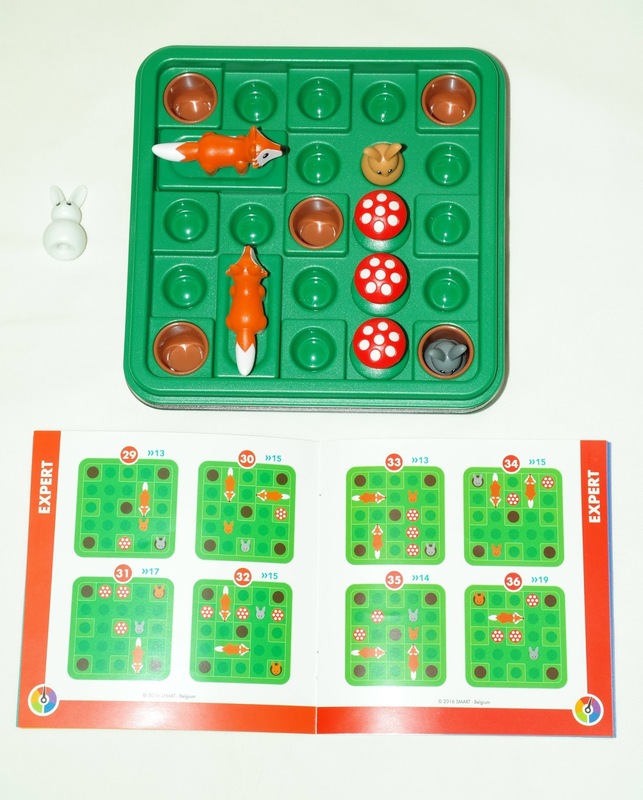 The game can be a little confusing to understand at first, since there are some rules you have to understand before starting, but once they're learned, it becomes rather fun to play. The main goal here is to have all the rabbits inside the brown holes. 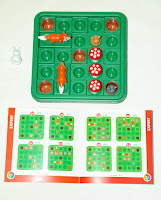 Since this is a sequential movement puzzle, there will always be an ideal solution with a minimum number of moves (identified in each challenge). 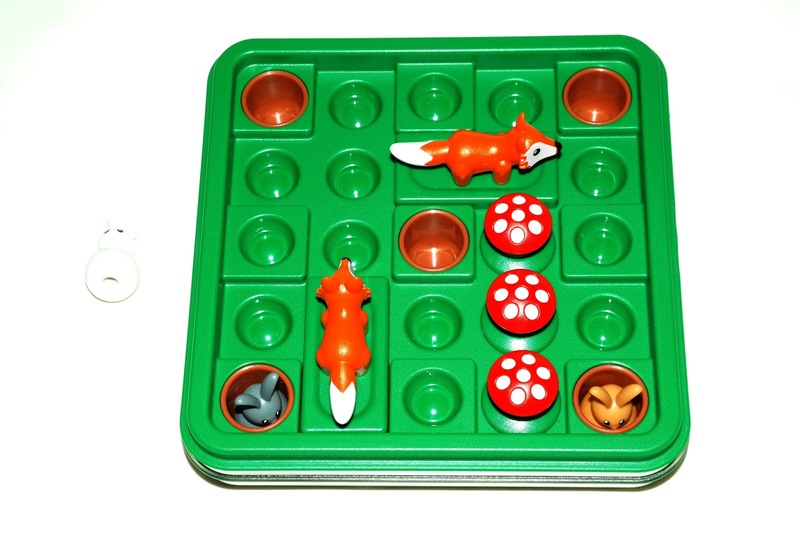 Naturally, on your first try, you won't probably solve a challenge with the ideal number of moves, but once you know the final position for each piece it's easier to find a strategy and improve your solutions. 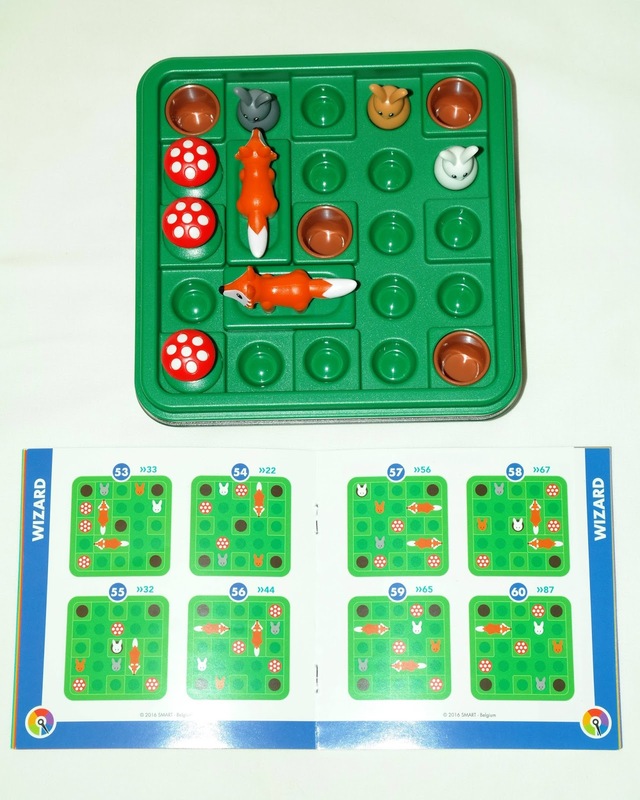 It's also a way to improve your solving skills for the more difficult challenges that await you at the end of the booklet. 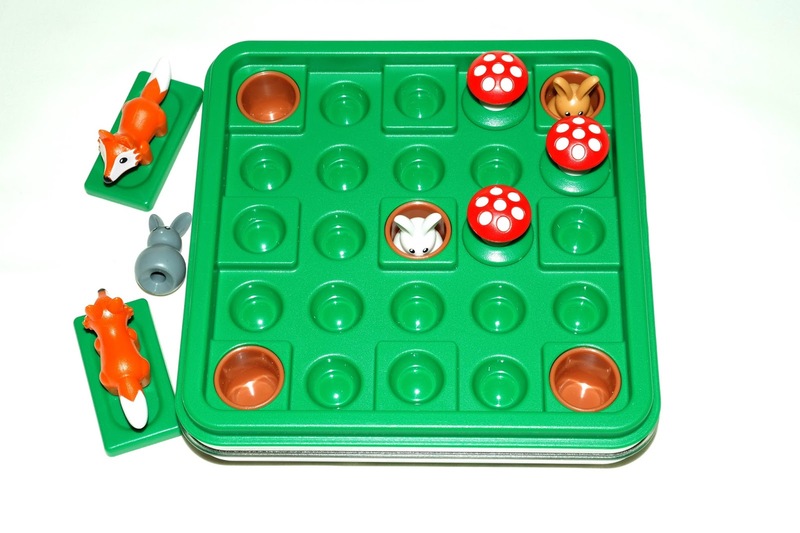 The only stationary pieces in the game are the mushrooms. Once you put them on the board you can't move them for the remainder of that challenge. As for the rabbits and the foxes, each has a different kind of movement. 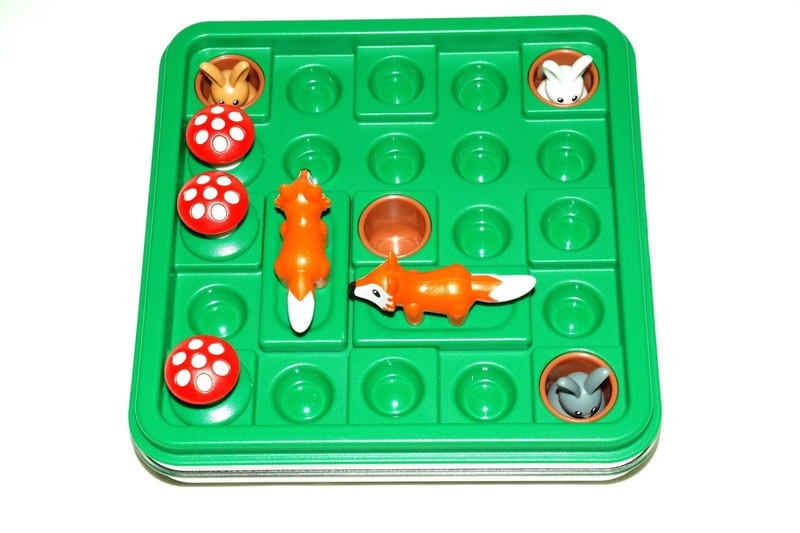 The foxes move by sliding them back and forth on the board, whether it's vertically or horizontally, depending on the piece's orientation. 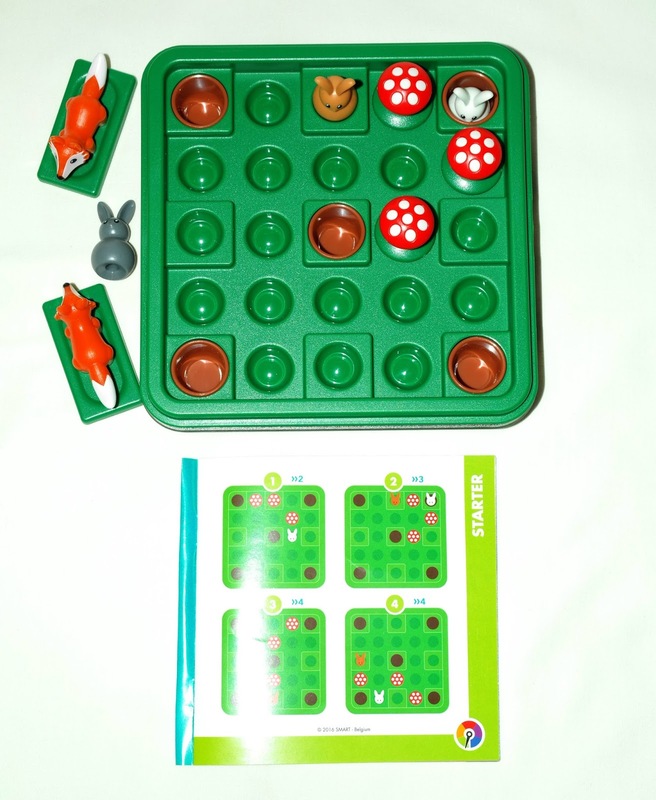 The rabbits, as expected, move by jumping around over obstacles found on the board, either foxes, mushrooms or even other rabbits. They always have to jump over a piece and never over an empty space, and always land on another empty space. To better understand this, a minimum move has to be at least two spaces, never an adjacent one. Also, a rabbit inside a hole may not be indicative of its final position, as they can move around anytime if it's necessary. I found this game to be quite challenging, but still fun whether you're playing at a low or a high level. Because the solution involves a sequential series of moves, you have to be thinking in advance, or there will be times when you're just moving around in trial and error. This can be avoided by simply using a strategy similar to chess, where you're always a few moves ahead. It can be very rewarding to solve a difficult challenge by using logic instead of just trying to see where some particular move leads you. 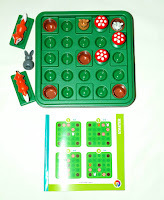 I really liked SmartGames' new puzzle game. It makes you think in a different way and that's pretty good. The concept being so different from what's usually on offer by SmartGames also makes it a worthy addition to your collection. 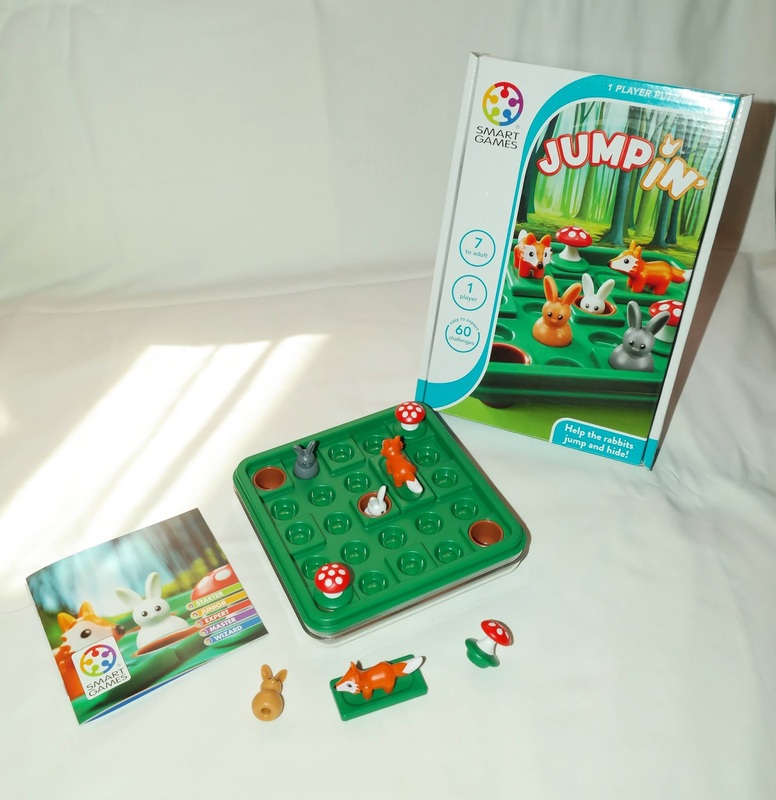 Availability: You can find the Jump'IN game in your usual puzzle stores, like Amazon. Other games by SmartGames are also worth considering.